Huawei Mate 20 Pro is the upcoming smartphone which is expected to launch in October. It will have 6 inches screen. Dual 12+20 MP of the rear and 8 MP of the front camera is also present. 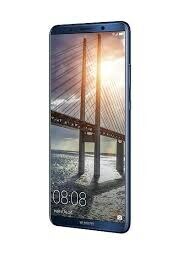 It will be powered by Android Pi Operating System and will feature 4/6 GB of RAM and 64/128/256 GB of internal memory. There is not much information available about the processor of this smartphone yet.